Joyfully Twirling is a special edition dress style dishcloth that I designed in honor of a good friend of mine. The pattern is not part of my online shop and will not be in the future. 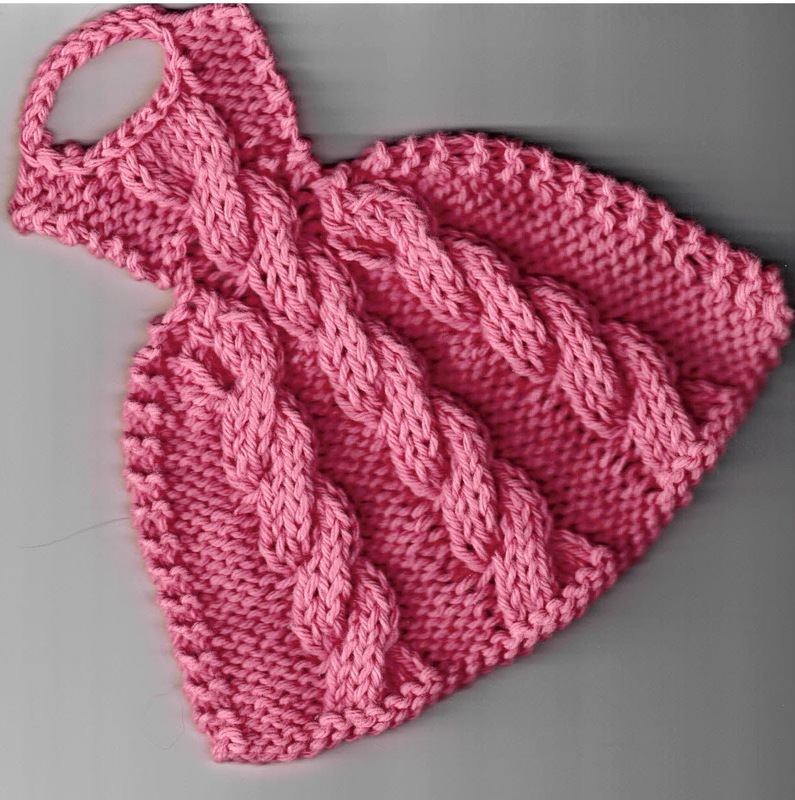 The sole purpose of this pattern is to generate funds to donate to Breast Cancer Charities. Currently the pattern is available at Funky Needles as part of their fund raising efforts for Breakthrough Breast Cancer. Simple to knit, this is the first dress style dishcloth with a cable stitch pattern. If your organization is interested in selling this pattern as part of your fundraising efforts, please contact me. I will gift it to one fund raising campaign at a time. I am on a fundraising committee for Iris Kirby House, a organization to help mothers and children in abusive situations. Would love this pattern for a fundraiser we do in November. I would be happy to provide the pattern for your fundraiser. Please email me the details of the fund raiser and I’ll email you the pattern. We do fundraiser at work (Memorial University of Newfoundland) for staff and students. We sell crafts ,baked goods, silent auction and white elephant. All proceeds go to our charity. This is a special edition dress dishcloth. Simply donate to your favorite breast cancer charity and email me the receipt. I will email you the pdf pattern. This is BEAUTIFUL !!! I have lost 3 family members to Breast Cancer. I donate baskets to different charities. Everything is hand knitted. Would love a copy of pattern. So glad that you like it. Please send me the photo and I’ll email you a copy of the pattern. I would love to be able to purchase a copy of this pattern. My grandmother died of breast cancer and 2 of my aunts and a cousin are all breast cancer survivors. I would love to make this for them. Thank you so much for your interest in the Joyfully Twirling Dishcloth Dress. 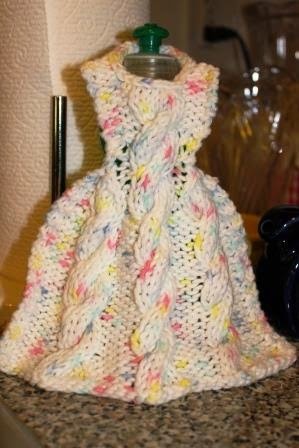 I don’t sell this pattern but offer it to those who make a contribution to any of the breast cancer fund raising efforts. With so much of it in your family, I’m sure that you have contributed. I’ll email the pattern to you. I am in the process of updating the formatting on my earlier patterns and will send it shortly. I hope you’ll consider signing up for my newsletters as I often offer a discount on my patterns. I have already signed up for your newsletter and have purchased some of your patterns on Ravelry as well. I am currently working on one of the dresses from the first dishcloth dresses book. So happy to hear that. I hope you’re enjoying the patterns. I would love this pattern. I would be glad to donate to receive the pattern. I am knitting knockers for my mom and co-worker. I’m happy to share the pattern. Just email me at debbie@stitchesbydebbie.com and tell me the name of the organization that received your donation.